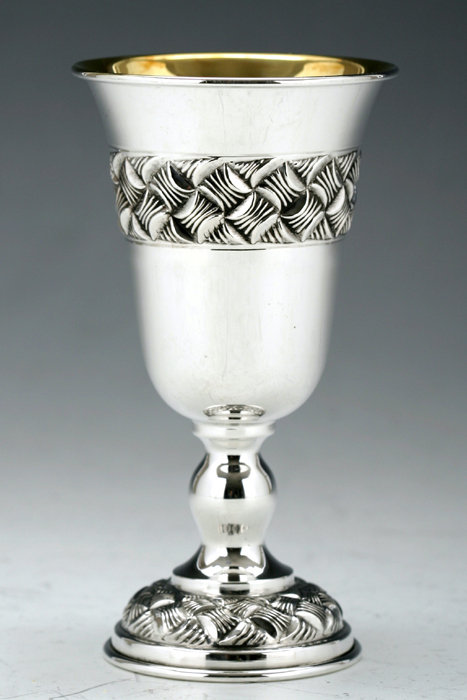 Hadad Silversmiths created this 925 Sterling Silver Kiddush Goblet to decorate your Shabbat & Holiday table.Made in Israel by Jewish Laborers.Wt 82g. Basket weave patterned band encircles this elegant Kiddush cup and its foot. The matching sterling silver saucer is available for purchase separately to create a matching set.